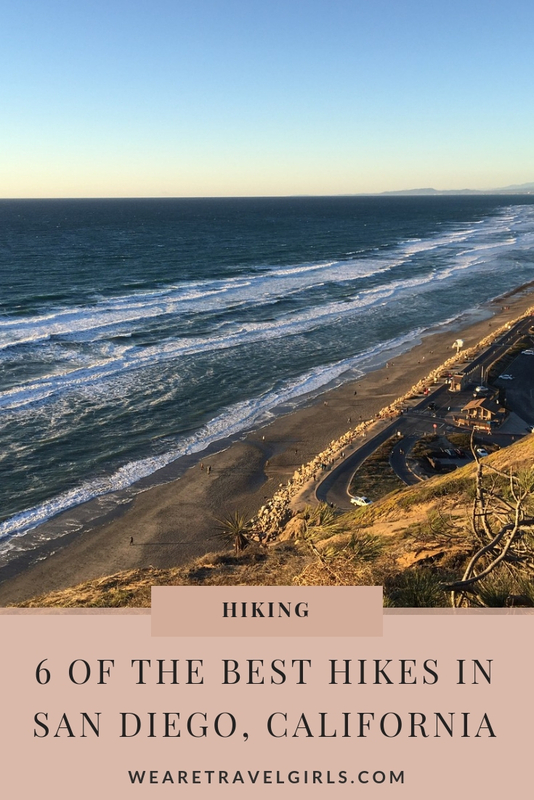 As an avid hiker and a born and raised San Diego girl, I am here to share with you some of my favorite hikes located around San Diego County. 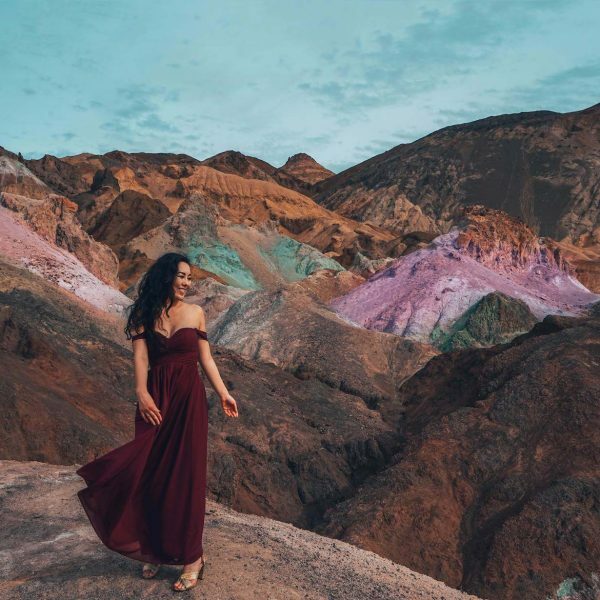 Who wouldn’t want to hike around in one of the most beautiful places in the world (at least in my opinion)? These six hikes are located all throughout San Diego County so you will need a car to access them. Grab a friend and get your fitness on! 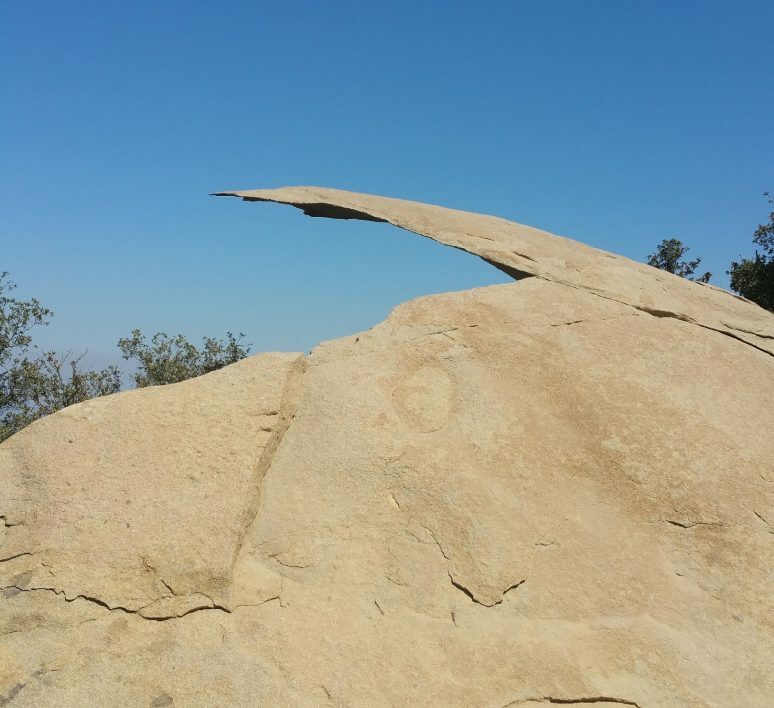 The Potato Chip Rock hike is one of the most photographed and most popular trails in San Diego. 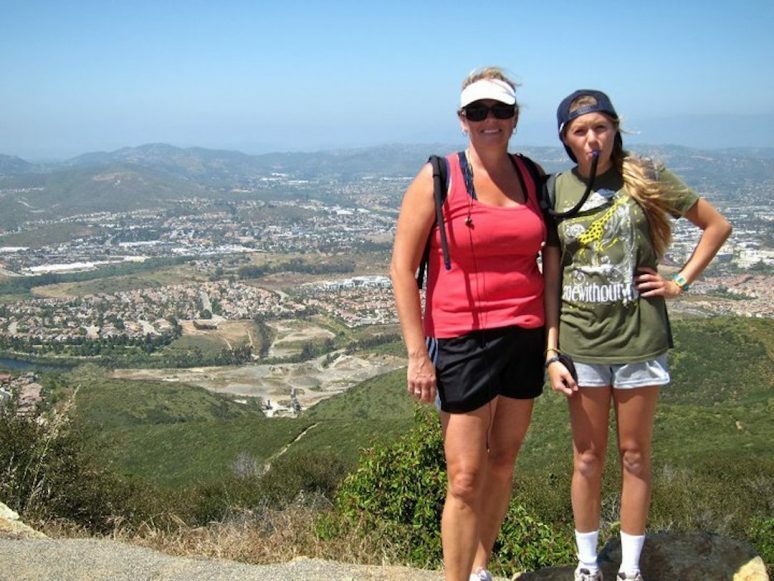 This hike is located at 14644 Lake Poway Rd, Poway CA. The hike is a total of 7.5 miles round trip with an elevation gain of 2,132ft. This steep and narrow hike up to the peak is not one for the weary. You can park in the Lake Poway parking lot for free during the week and $10 on the weekend. The trailhead begins right at the end of Lake Poway Road by the lake. Here are some key tips! Make sure you wear sunscreen or a hat as most of the hike is not shaded. Try to start the hike early in the morning and make sure to bring lots of water and snacks! This particular hike is heavily trafficked on the weekends, so be prepared to stand in line to get the classic Potato Chip Rock photo. Plan for around four hours for this hike- obviously the way down will be much faster than the way up. This hike is great for an experienced hiker or runner who is looking to get a hard workout in. It is definitely doable for the less experienced, but make sure to take caution and prepare appropriately for this long hike. Lastly, on a different note, if you have time make sure to check out the Mt. Woodson Castle nearby for another scenic site. If you are looking for a casual hike/walk near the coastline then Torrey Pines is perfect for you. Torrey Pines is set right along Torrey Pines State Beach located in La Jolla, CA. There are multiple places to park when you arrive at the hiking site. You will see plenty of cars parked along the beachside (for free) or you can pay a small fee to park in the South or North Beach Lots. Once you park, you will hike up a paved road, that has dirt trails on both sides until you reach the top. At the top of the hill, you will find a visitors center and museum shop. From there, you can walk through a multitude of trails. My personal favorite trail is to do the Razor Point to Yucca to Beach trail. This walk gives you the opportunity to enjoy a decent portion of the Reserve and then end up on the beach. If you choose to hike down to the beach from here, be warned it is a steep hill to get down with steep steps. Check out this website for a list of all the trails along with a map. If you like to get a little nerdy then there are free public guided nature walks for families and small groups. Just meet at the entrance of the Visitor’s Center. 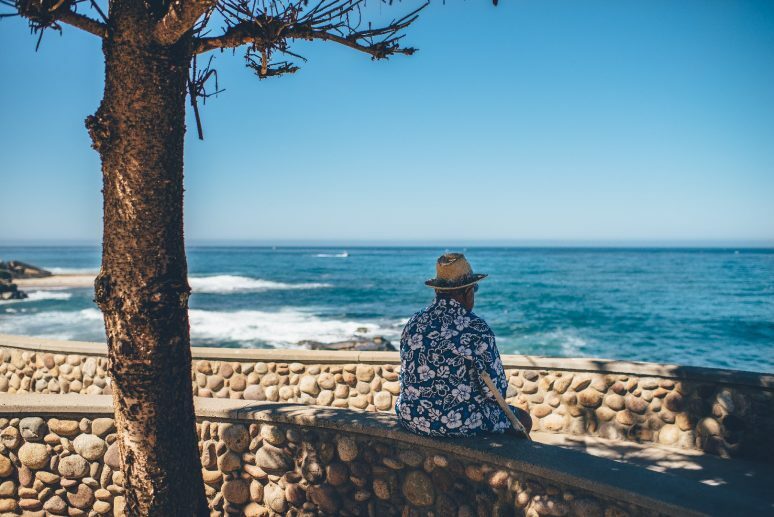 Head to Torrey Pines for a beautiful sunset hike and then enjoy a nice dinner in La Jolla or maybe even a picnic on the beach. Three Sisters Waterfalls Trail is located near Descanso, CA. This 4.2-mile round trip hike is considered very strenuous and is accessible year-round. The main feature of this hike says it all in the name: Falls. It is well known and well hiked for its three popular waterfalls. The trail begins at the end of the parking lot and you will begin to head west. From the trailhead, you will have to pass over the barrier and begin your hike. The trailhead begins as “Eagle Peak Trail” so don’t be alarmed. About ⅔ of a mile into your hike you will reach a junction- at that point veer left. You should be able to view the waterfalls off in the distance. Keep on hiking! Expect this hike to take at least 4.5 hours (not including the time you spend at the bottom). Once you reach the bottom, you can hop in the pools and cool off. Feel free to climb your way up to the top “pool” just be careful! A few things to note: this trail is a user-created trail that begins as a STRAIGHT DOWN descent and once you do reach the bottom you will then be climbing through lots of poison oak. Stay cautious, be on the lookout for rattlesnakes and bring LOTS of water! Check out this article here for great detailed info with pics from this hike. 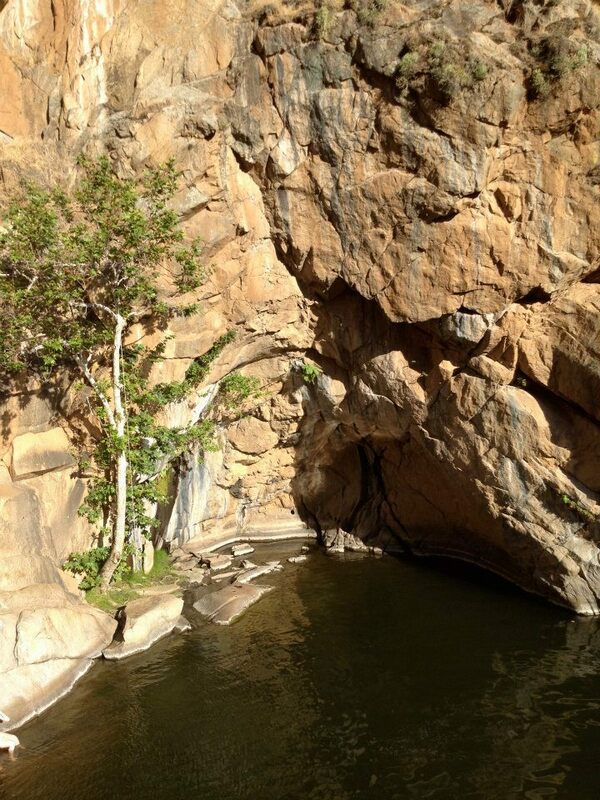 Devil’s Punchbowl, also known as, Cedar Creek Falls, is another 6-mile waterfall hike found in San Diego County. This waterfall is very seasonal though. I visited it in the summertime and as you can see in the picture below there is no “waterfall,” just a light trickle. However, the lake is always there to swim in! Day permits ARE required for this hike and you can purchase them here for $10. This has become a heavily trafficked hike due to its popularity of visiting the impressive 80 foot waterfall. This hike offers great views of the San Diego Gorge and the surrounding mountains. Make sure to take plenty of water when doing this hike, especially during the summer months as it can become very hot in the valley. Don’t forget your bathing suit, but no need for a towel as you can lay out and dry off on the rocks. Whenever I go home to visit my mom we always end up doing this hike. It is a perfect hike for the moderate hiker that offers some great 360 degree views. 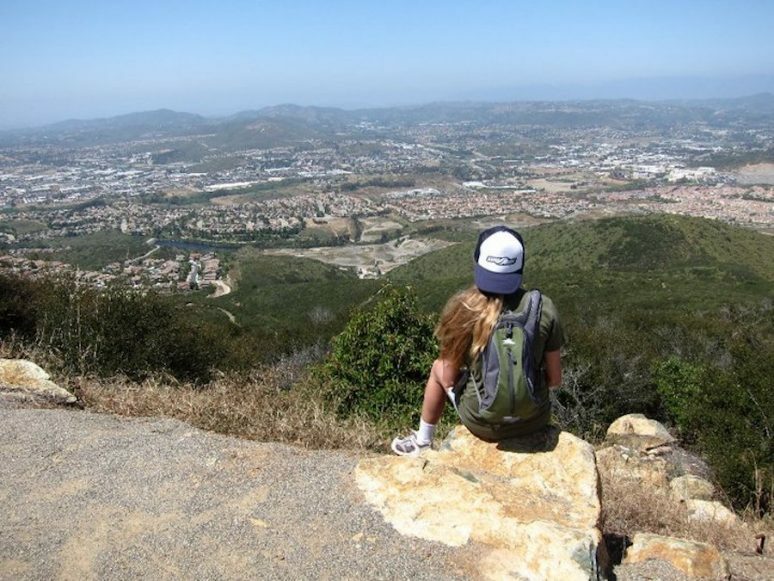 This hike is located in San Marcos, CA and begins at Lakeview Park. This hike is not near the ocean or in the trees, but instead, it is smack dab in the middle of the city, but yet still a beautiful hike. Also, a great workout! To start the hike, you will pass through a closed metal gate, past the park and then past a large lake. Next, you will begin hiking on a dirt pathway, which will eventually lead to a paved road. You will pass through a neighborhood and then get back on a dirt pathway. You will hike up about another 1.25 miles and eventually reach the top. At the summit, you will find several picnic tables, a telescope, and a scenic view. Bring a little picnic and enjoy your time at the top. It can get quite warm on a sunny day. This last and final hike is located near Julian, CA and is the perfect hike to do in the Fall. Julian is one of the cutest little towns and this hike is not too far from it. The hike begins across the street from Paso Picacho Campground. You will have to park in the campgrounds for $8.00 as there is nowhere else to park. The hike itself is anywhere between 4.2 and 5.8 miles depending on which route you take up. Plan to hike for about 2-3 hours. The trail is very well maintained and well marked. When you near the top you will notice a staircase leading up to the peak. Head that direction and walk up the up the stairs. Once you reach the top of the stairs there is a lookout point with guardrails. 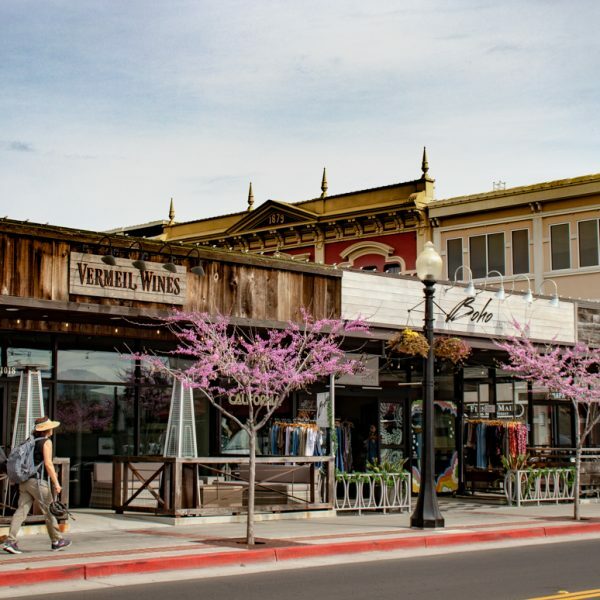 After you finish the hike-head to the town of Julian. As I mentioned before, Julian is a cute town, especially in the Fall. They offer homemade pies, pumpkin patches, hot apple cider, and cute cafes. Check out this website for more activities in Julian! Alright, well there you have it! Those six hikes are some of my favorite trails in the San Diego County region. 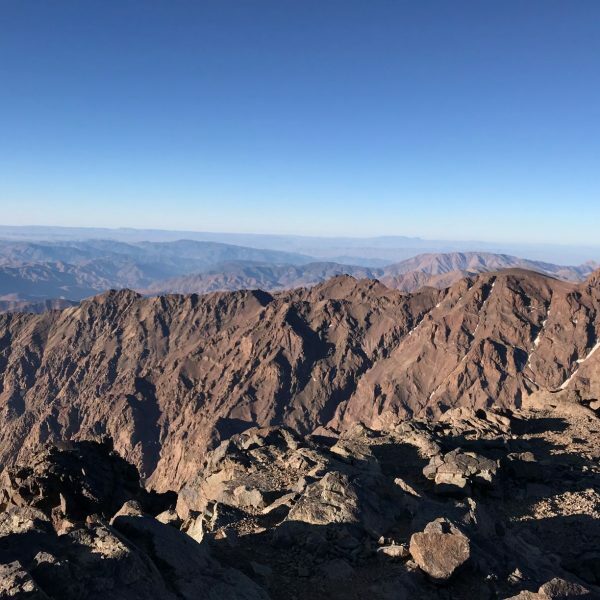 There are so many to choose from, but these are definitely my top hikes that I have repeatedly done. Get out there and stay active! Have you ever been hiking in San Diego? If you have any additional tips for our readers or questions please leave these in the comments below.